A weekly newspaper has switched from broadsheet to compact after more than a century-and-a-half following feedback from readers and advertisers. 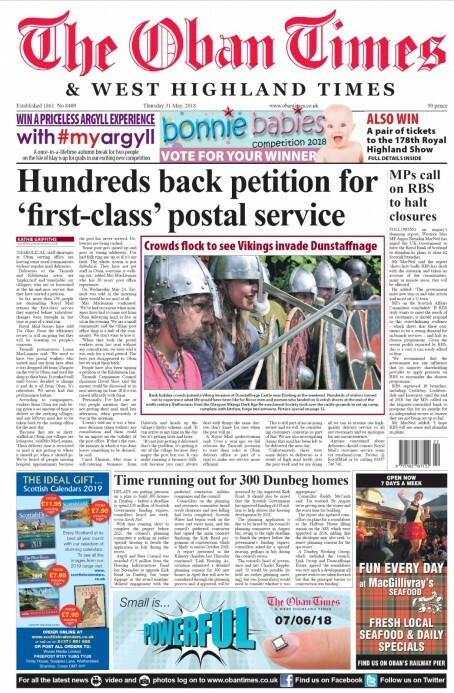 The Oban Times was produced in its new format for the first time last week after being “completely redesigned”. The Times, first published in 1861, says the move follows research which found a more “reader-friendly” format would be desirable. The change offers the Wyvex Media-owned newspaper “built-in flexibility” which it says will give it more space to cover local news, sport, business, entertainment and features. An editorial on the switch states: “There are well-known old sayings that the best things come in small packages and that small is beautiful. 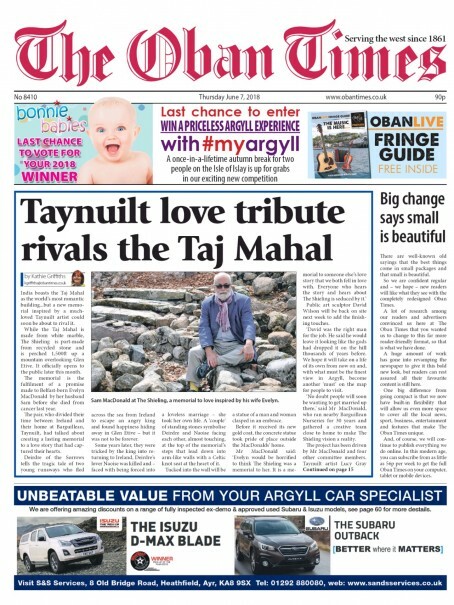 So we are confident regular and – we hope – new readers will like what they see with the completely redesigned Oban Times. “A lot of research among our readers and advertisers convinced us here at The Oban Times that you wanted us to change to this far more reader-friendly format, so that is what we have done. “A huge amount of work has gone into revamping the newspaper to give it this bold new look, but readers can rest assured all their favourite content is still here. The print newspaper will continue to be priced at 90p, with dugital subscriptions available for 56p per week .